It’s that time of year again! 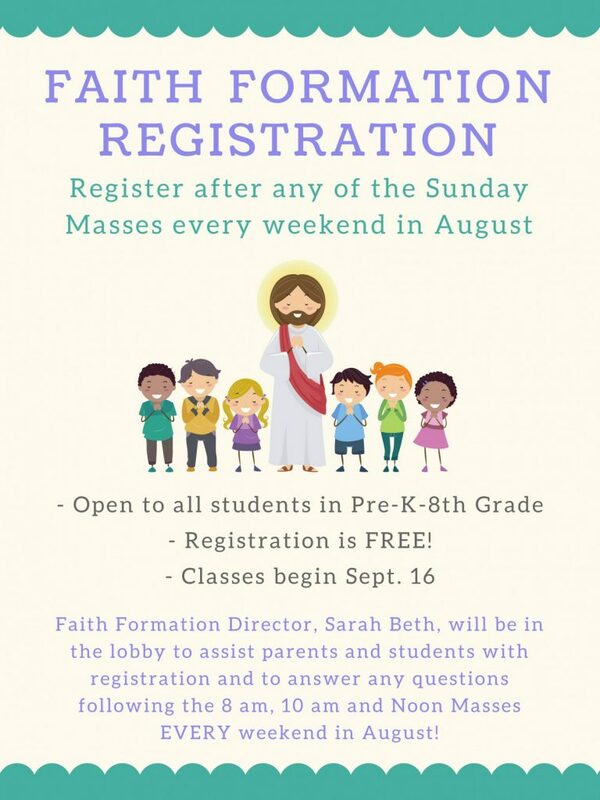 Register your child for faith formation classes in August. Sarah Beth will be available to help you with registration after each Mass every Sunday in August. We look forward to seeing you at the registration table next month!